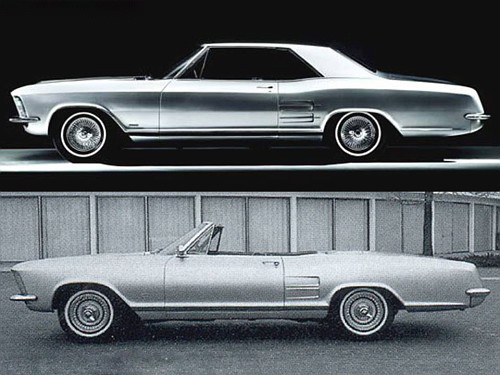 Buick Riviera 63 is recognized as one of the finest creations of the time, and 46 years after his birth, she is still talking about it. 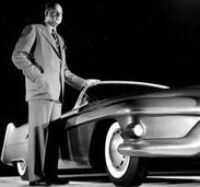 In 2009 he was discovered in the archives of the General Motors four photos on two concept cars built on the basis of the Buick Riviera. 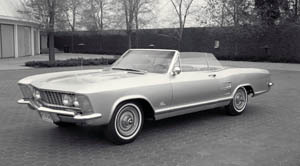 The photographs were taken at the end of the year 63 the esplanade of the GM Design Center in Warren, Michigan. 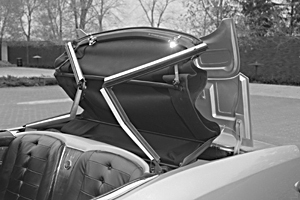 As you can see from the photos, the proportions and details of the fit, finish and action are top in the Riviera convertible one-time project but successful. 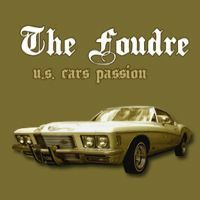 A true automobile unlike static models Motorama some of the time. 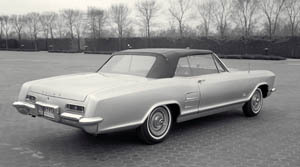 This second concept of Riviera was found in the same series of photos. 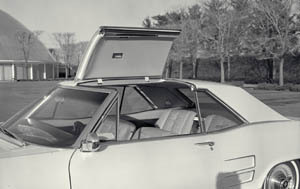 As you can see, this system was innovative roof. 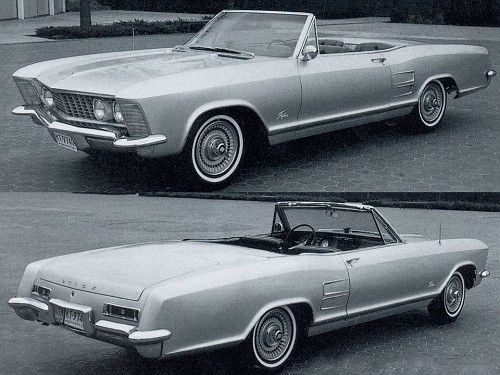 It would have added a variation between the catalog Riviera hardtop and convertible. 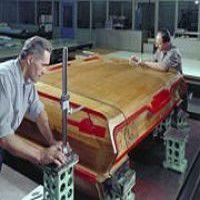 We can only speculate at this stage, why none of these proposals were accepted by the firm for production. 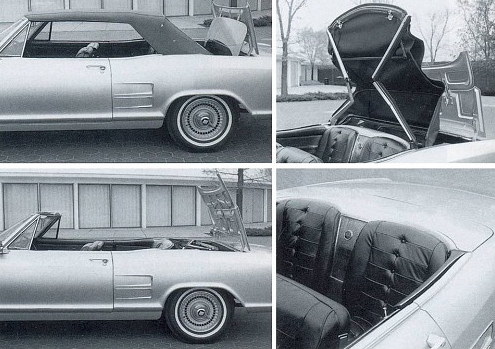 Perhaps the lack of time, General Motors was sufficient commercial success of the Riviera, this is pure speculation.